Fortnite is getting customisable football skins ahead of the FIFA World Cup. There are a total of eight skins (four male, four female) which all come with their own kit, but players will be able to further customise these with the kit of their favourite nation. 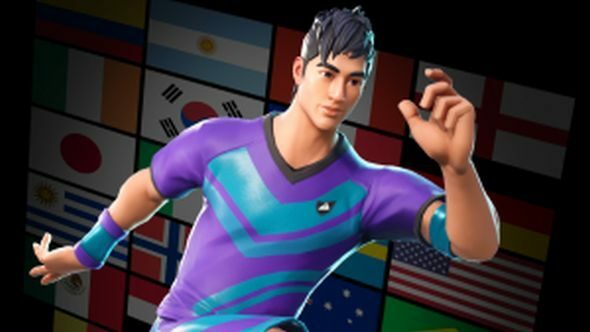 It’s worth noting that not every team competing at the world cup has received its own Fortnite skin. Senegal appears to be missing, as does Iran, Serbia, and Tunisia. On the other hand, several nations that won’t be playing at the world cup, including the USA, the Netherlands, and New Zealand – have been granted a skin. That’s likely a result of the fact that I’m willing to be that the popularity of Fortnite in Eastern Europe, the Middle East, and Africa is significantly less than it is is Western Europe and America, and Epic is likely keen to earn a bit of money from fans wishing their team had gained a spot at the tournament. For the record, I’m not being smug there – as an England supporter, I’d be impressed if we even made the quarter finals. The skins, which you can check out in more detail on FortniteINTEL, can also be customised with a jersey number of your choice, so if you fancy playing as Messi or Ronaldo themselves, that’s something you can do. Sort of. If you’re an avid player or only just getting into the game make sure you check out our guide to the latest Fortnite challenges. You won’t want to miss out on them if you plan on keeping up appearances.